Does a Mac need maintenance ? A valid remark considering MAC’s are less affected by system failures to windows systems. This latest update of CleanMyMac3 is renamed to CleanMyMac X. However an average Mac user, changing to latest software versions, doing lots of trials and uses his mac daily, will after some time accumulate leftovers, huge amounts of not used data in caches and in the apps of the OSX-system. 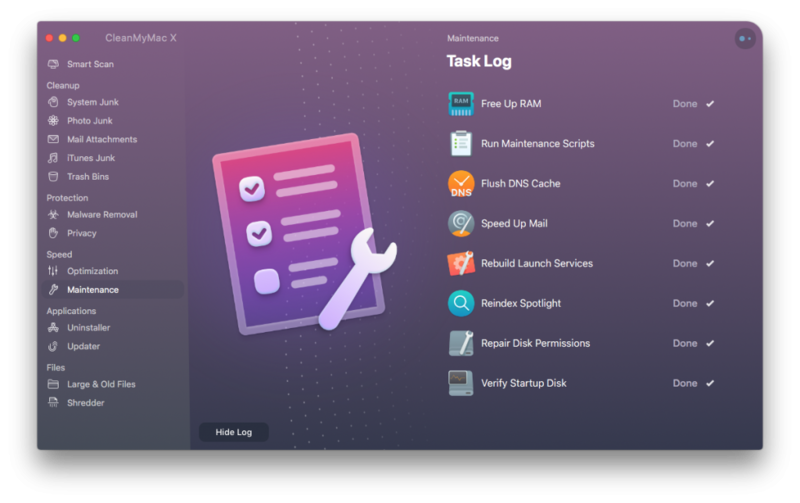 This is where this software package CleanMyMac X, is the best option for optimizing your system and keeps your mac running smoothly. The interface is stunningly good and well designed. 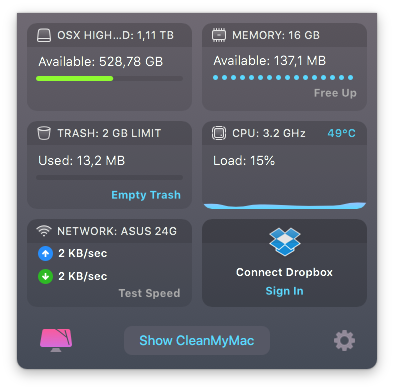 The updated Menu bar widget is one of my most preferred changes in CleanMyMac X. CleanMyMac Menu now shows a lots of useful information about your system. CleanMyMac X is a really great update over the earlier version. It looks great and the clean interface makes it an easy to use tool for everyone. It does free up memory for you from the menu widget and has many of great features helping you all the way to keep your mac clean and fast. I am impressed with this update and recommend it to any serious Mac User.